During my first visit to Mexico in 1980 I worked with Don Primitivo, one of the last true Mexican knifemakers. 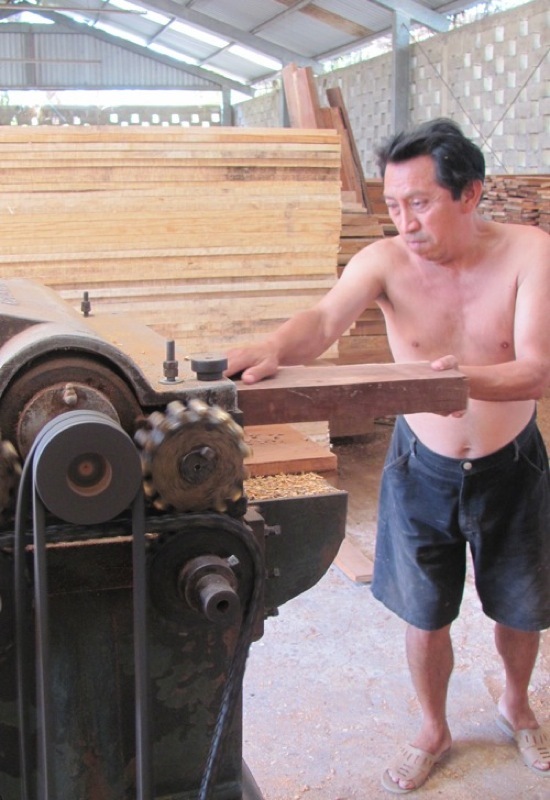 He made traditional machetes in the mountains of Guerrero. 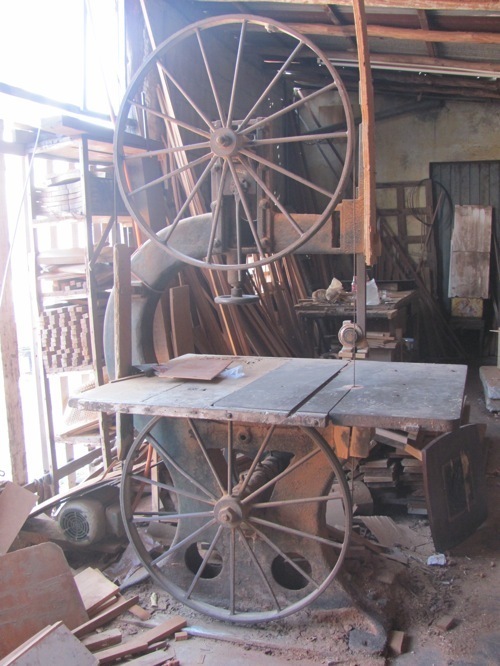 Working without electricity, Don Primitivo and his brother hammered the steel blades while his son pumped the bellows on their adobe brick forge. They used whatever materials they could find locally – wood charcoal for heat, car and truck leaf springs for blades, and local cow horns for the handles. That brief experience in Mexico has stayed with me for more than thirty years. Today, I live and make knives in Merida, Yucatan Mexico. By geography and by choice, Yucatan has historically been isolated and cut off from the rest of Mexico. So, in my three years here, I‘ve found that tools and materials are generally still of the “use what you find” sort …… take it or leave it. For stainless blade steels, specialty tools and grinding belts, I have no choice but to source them from the US. For handle materials, though, it’s been a different story. It was challenging at first, and it’s still very time consuming. But using local materials, just as Don Primitivo did, has been a great adventure and it’s a process I have come to enjoy just as much as making knives – I can’t imagine working in any other way. Every piece of handle material has it’s own story – and that’s something you just can’t buy. There are tropical trees in the Yucatan peninsula with dense, heavy, beautiful wood. There are deer – two species of indigenous Yucatecan Deer and ranch-raised Red Deer. 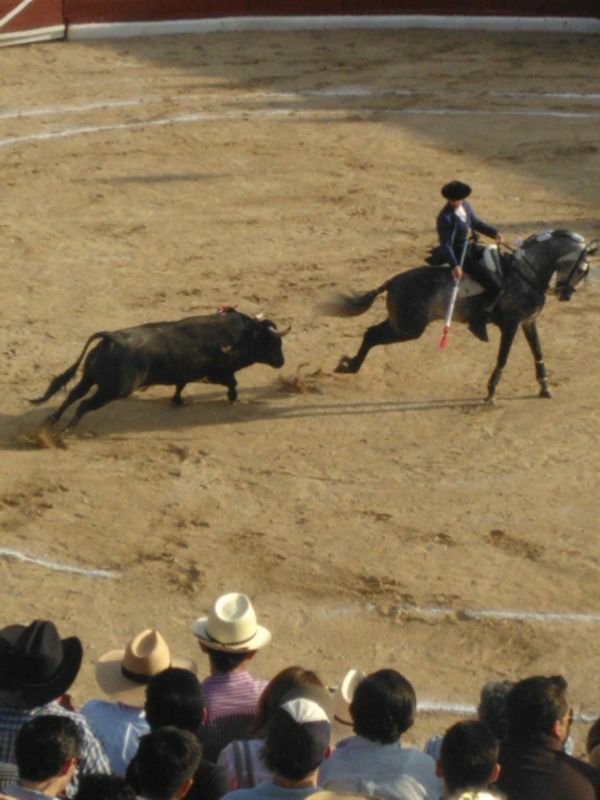 There are farm cattle and ranched bulls and water buffalo. There are abalone and conch with beautiful opalescent shells. There’s fossil amber and also copal. And there’s silver – in the form of old coins. But you can’t just phone or email an order for any of these materials and wait for FedEx to deliver them a few days later. You have to search for things, and then wait – for the right person, or the right weather or time of year, or simply for just a fortuitous set of circumstances. The first wood I lucked into was from a huge old Zapote – only a few small pieces from the stump of an ancient tree cut down a few days earlier. Workers were removing the final load of wood when I happened to walk past, so I took as much as I could carry in my arms and left it to dry in my shop. Two years later I sanded a section smooth and saw what fantastic grain it had, like curly or tiger tail maple – a similar color, light orange/brown when cut, but turning a darker warm brown as it ages. It’s much denser and harder than maple, though. I had no idea what a treasure this wood was. Madereria Moreles is a very small lumberyard in Centro where I stop to see what interesting hardwoods they might have in. I sometimes find beautiful, very heavy Chechen. It’s often referred to as Caribbean Rosewood , or Poisonwood, and has a tight grain of warm browns, reds, blacks and yellows. The yard lets me pick through the stacks of wood, then a sandaled, bare-chested workman runs my board through an ancient planer. A beautiful piece about two inches thick by eight inches wide by thirty inches long costs $40 pesos (about $3.25 US). When I need Guayucan (Lignum Vitae), Granadillo or Ziracote I visit a wood turner in the pueblo of Dzitya, just outside of Merida. 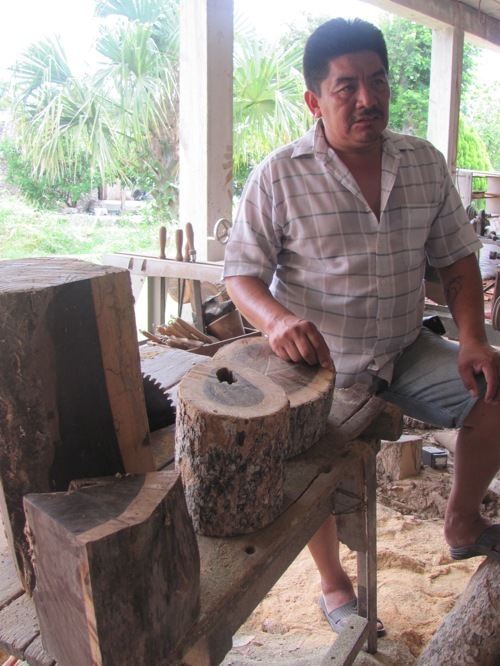 The turner, Guillermo Piste, has contacts with individual loggers all over the states of Yucatan, Campeche, Quintana Roo and Chiapas. Cut-offs and badly checked pieces not suitable for Guillermo’s bowls are perfect for the handle size pieces I need. Using his home made table saw, he quarters the logs so that I can re-saw them into scales on my own small band saw. Guillermo tells me that all of these woods, especially the Guayucan, are getting more and more difficult to obtain, the prices keep going up and the trees get smaller. I’m afraid that one day these beautiful woods will be unobtainable. 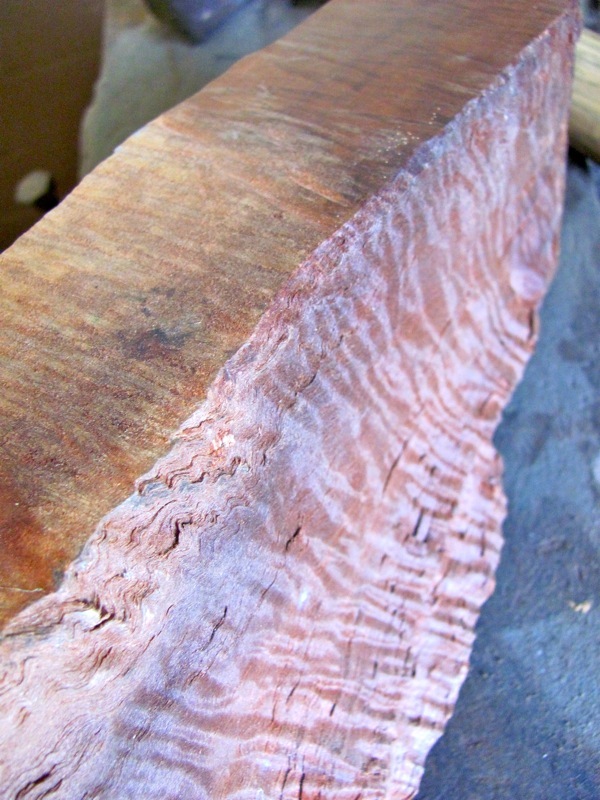 A friend recently gave me a few small logs of Zapote cut from a tree that was struck by lightening. I took the logs to a local sawmill to cut into thick boards. The mill runs giant old band saws half sunk in the ground. 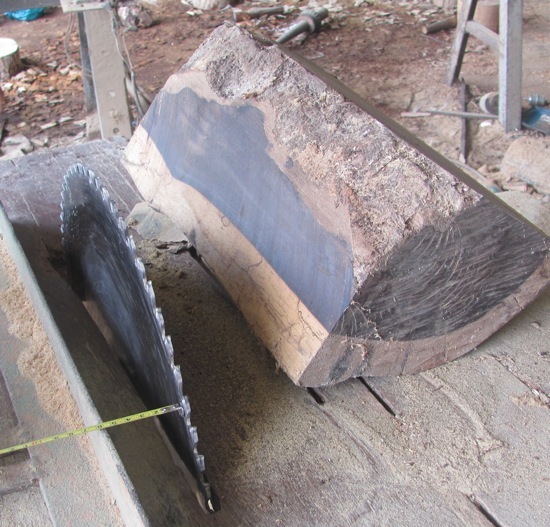 They stake the logs on trolleys that roll back and forth past the band saw blade, taking a slice at a time. The logs I brought, maybe 10 or 12 inches in diameter, were at the limit of how small a log the mill could work with. The wood is a beautiful pink/brown that darkens and warms with time. There’s a burn line from the lightening that runs down through some of the boards and you can still smell the charring. I use this Zapote for handles with silver wire inlaid in it. Not a single piece of wood that I have found would be considered “exhibition grade” by a knife collector or wood supplier. Yet each log or board stacked in a corner or under a bench in my workshop has a special meaning and a beauty of it’s own – and I believe that these unique qualities find their way into the knives that I craft with them. 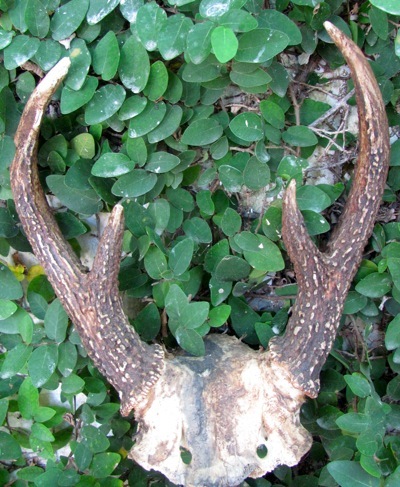 The tiny Yucatecan Deer has been hunted almost to extinction. Deer meat has been a Mayan staple for thousands of years, and is enjoyed today in traditional dishes like Dzik de Venado. Out in the pueblos, local men still hunt for these deer – usually at night, with a flashlight and a small caliber single-shot rifle. 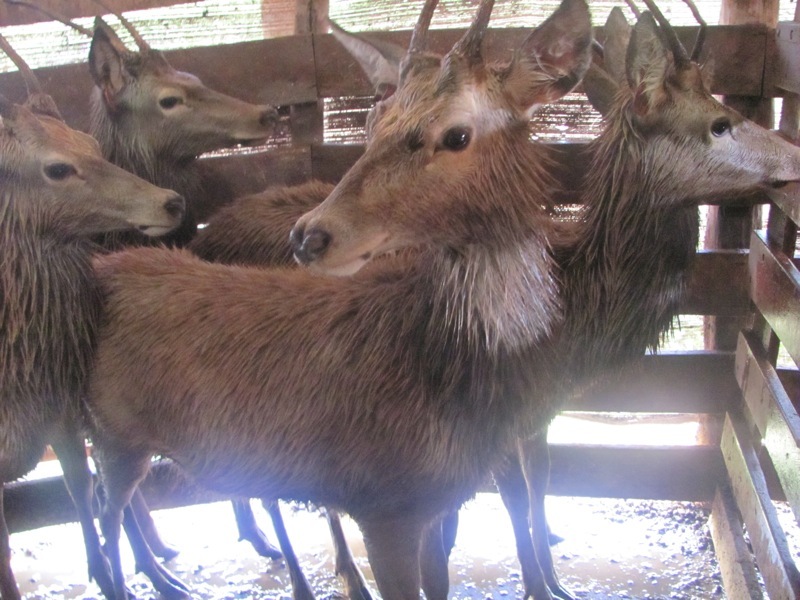 The antlers are very small, but like the Sambar stag’s, they’re very hard, with almost no pith. Friends of friends occasionally bring me antlers, usually still attached to a section of the skull. Working very carefully, I can get a single set of scales from a pair of antlers – enough for one small knife. Mostly I work with the antlers of Red Deer (Cervus elaphus) raised on a government ranch in Tzucacab, two hours south of Merida. Twenty years ago a herd of a thousand red deer were imported from New Zealand and distributed around the country, where they have thrived. The ranched meat takes some of the pressure off of the local deer (although most of the deer are taken by subsistence hunters who can’t afford to buy the ranch raised meat). Workers collect and sell the shed horns. The skins are tanned and sold as well, and I use them for pouches for folding knives. The Red Deer antlers present challenges – they have a lot of pith and they grow in twists and curves. At first I had a lot of waste – trying to cut straight pieces out of the curves. Most pieces were either too thick in the center or too thick at the ends, so I lost a lot of the antlers surface texture while trying to even out the thickness. But, by studying how the old Sheffield knifemakers worked antler, I’ve learned how to process them more efficiently, and get more beautiful handles. 19th century cutlers often hafted their exhibition knives with stag horn from the Scottish Red Deer – the same species being raised in Yucatan. Now, to fully utilize the antler, I split it with the curve, parallel to the outer surface, and then grind away most of the porous pith from the inside. I’m left with thin, twisted and curved pieces, each of uniform thickness – some curving inwards, some outwards. I put them into a kettle of boiling water for a couple of hours to soften. Then I take them out, twist and bend them straight, and clamp them between boards to stay flat while they dry. I then thin and flatten them further, working from the back, until they’re of the correct dimensions. A final refinement in the processing of the Red Deer antlers has come with Logwood (Haematoxylum campechianum). The Spanish first cut the Logwood trees of Campeche in the 16th century and sent the wood by ship to Europe, where it was used in dyes for fabric and in inks and paints. But the Sheffield horn and bone workers used it, too. They added Logwood chips to the boiling water used to soften the antlers for straightening. The natural pigments from the wood darkened the otherwise pale Scottish Red Deer antlers. Now I do the same. Today, though, in Campeche, Logwood is very difficult to find, as the Spanish, and later the Mexicans, cut it almost to extinction. Fortunately it also still grows in Central America and on some Caribbean islands, where it was introduced. The neighboring state of Campeche is also a source for water buffalo horns where there is a ranch that raises the animals for meat. 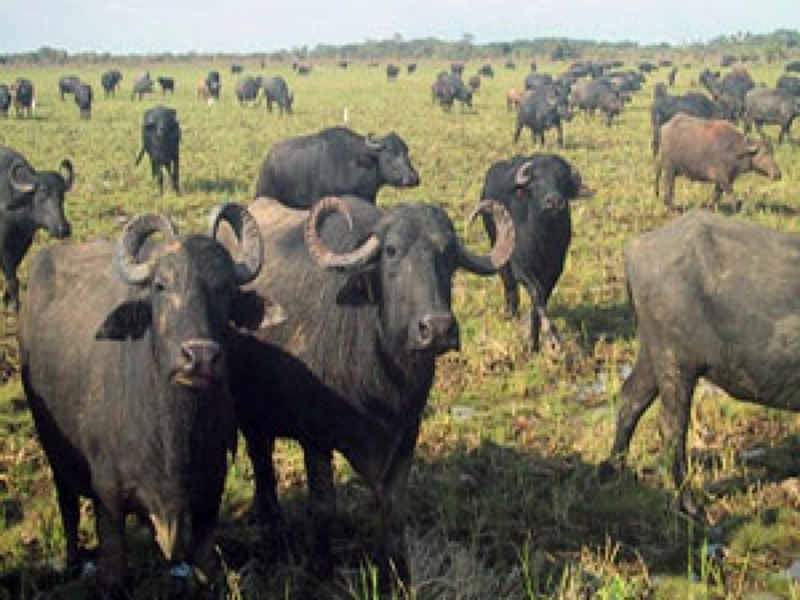 I remembered seeing these same water buffalo feeding in the tropical marshes along the Gulf of Mexico when I first drove to Merida. The ranch sends me the horns already cleaned, but I still have to split, boil, flatten and dry them before cutting them for handle scales. I try to thin the flattened pieces from the back/inside in order to save as much of the heavily textured outside surface as possible. On the finished knives you can still see the scuffs and scratches picked up by the horns as they grew, contrasted against more highly polished sections. But now, some of the bull’s horns will find their way onto my handmade knives. The horns still have the bone inside when I get them from the carneceros. I boil them long enough to breakdown the membrane that holds the outer horn to the bone – sterilizing them at the same time. The bone is discarded and the horns are cut, boiled again and flattened. As with the buffalo horn and deer antlers, I try to save as much of the outer surface as possible – it’s there that the bulls’ life, and death, and it’s character are revealed. I very much admire the knives of the early 20th century American knifemaker Bill Scagel. So, like Scagel, I pin coin-silver escutcheons to the handles of most of my folding knives. Every Sunday morning in the square in front of Santa Lucia Church in Centro, there’s a flea market where I purchase silver coins from a local dealer. I use ten and twenty centavos coins from the late 19th or early 20th centuries that have silver contents of between .720 and .800. 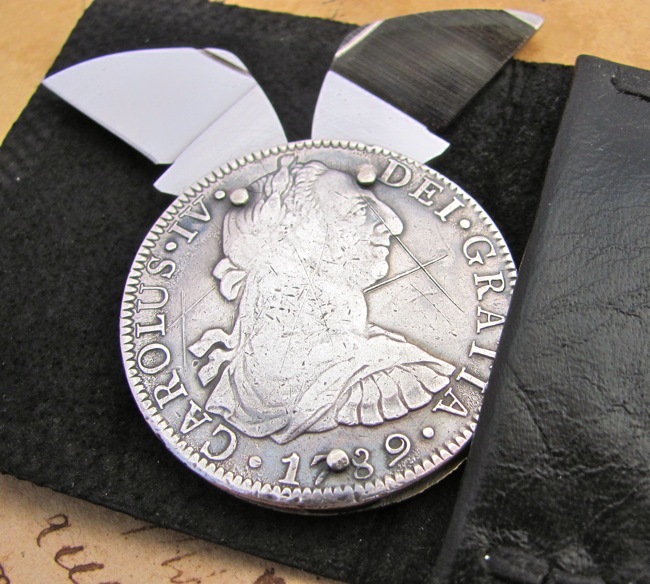 Sometimes though, there are only US silver dimes, or old, Spanish silver coins. Larger Mexican silver coins like the Colonial and Revolutionary period Ocho Reales, or “Pieces of Eight,” early 20th century Caballitos and commemoratives like the 1921 Dos Pesos and 1947-48 Cinco Pesos, I make into coin knives, each with a small cutting blade and a nail file folded inside the split coin. I like the irony of “re-purposing” the silver of the conquistadors…. just as they took Mexican silver to mint Spanish coins – I’m turning Spanish silver into Mexican knives. Now I’m searching for shell from Campeche and amber from Chiapas to use for inlay material. And for Copal – a natural tree resin historically used by the Mayans both as incense, and mixed with beeswax, as an early “superglue”. They used it to secure inlays and mosaics, and to hold their obsidean-edged weapons together as well. Today, my workshop is full of the local materials that I’ve gathered with the help of friends – logs of Caoba and Guayucan and Zapote are drying by the door; boards of Chechen and Katalox and Ziracote are stacked under the worktables; Yucatecan and Red Deer antlers, and cattle, water buffalo and bull horns are on shelves ready to be cut and pressed; deer, sheep, cow and bull hides are rolled and stored in a closet. Each piece has a story to tell. It’s a rewarding and very satisfying way to work.